Simply Living: A beachside encounter in 'Plein' sight! I almost always find something unexpected on my early morning beachside bike rides. 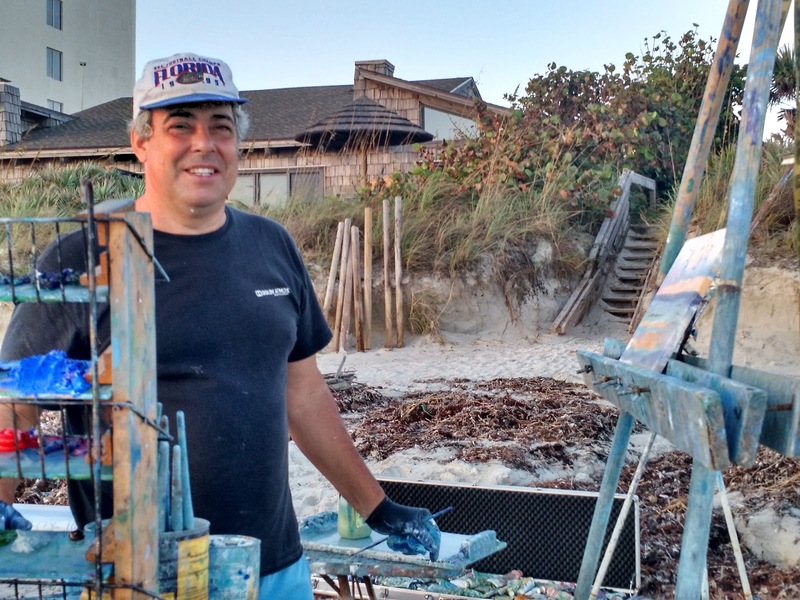 Often those finds include interesting wildlife, plants or washed ashore items. 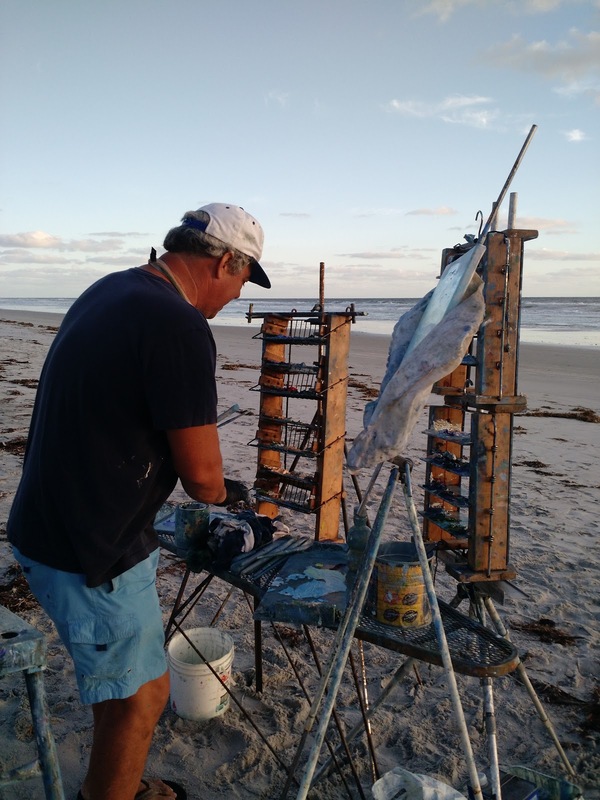 But recently, over a two-day period, my beachcombing finds involved Gainesville artist Peter J. Carolin participating in the 7th annual New Smyrna Beach Paint Out. 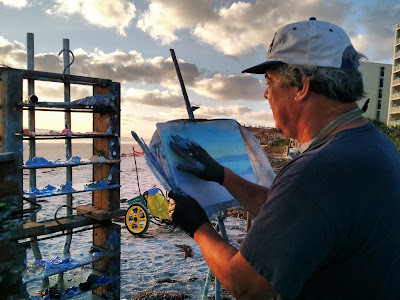 Much to my delight and fascination, Peter set up his extensive outdoor studio in front of SeaWoods, a stretch of beach midway between my usual starting and finishing points. 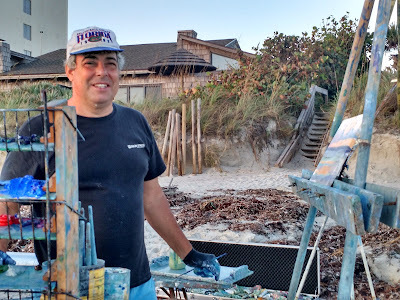 On both mornings, I paused in my morning ride to say hello and ask if I could take pictures, which Peter graciously permitted. 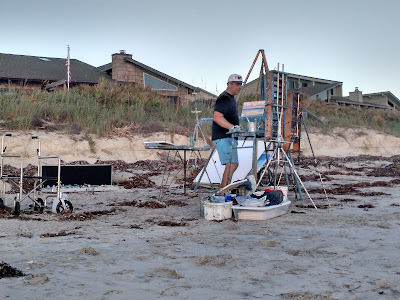 I'm glad he did, because not only did I enjoy watching him work, but found myself especially intrigued by his cleverly constructed work station made from repurposed items like old ironing boards, aluminum crutches and clothes hangers. 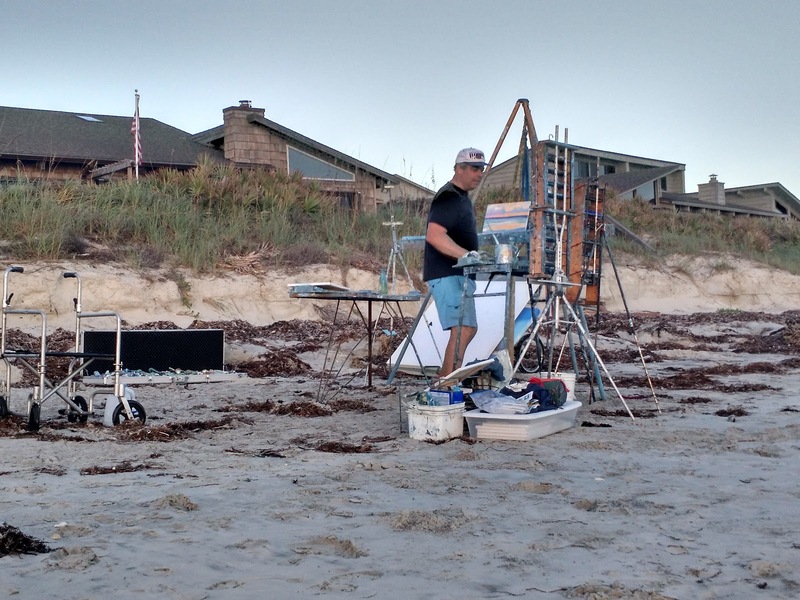 Ingenious use of castaway stuff!